Ah, it’s that time of year! The leaves are starting to change, the nights are getting cooler, the festivals are happening, the kids are gearing up for Halloween, families are going to pumpkin patches, and canned pumpkin starts flying off the shelves! I personally LOVE fall. It’s probably my favorite time of year with spring being a very close second. Some of our fun fall pumpkin-related recipes have included our Skullduggery Squares, our Jack-O-Lantern Lollipops, our Roasted Pumpkin Seeds, and our Pumpkin Macaroni & Cheese. 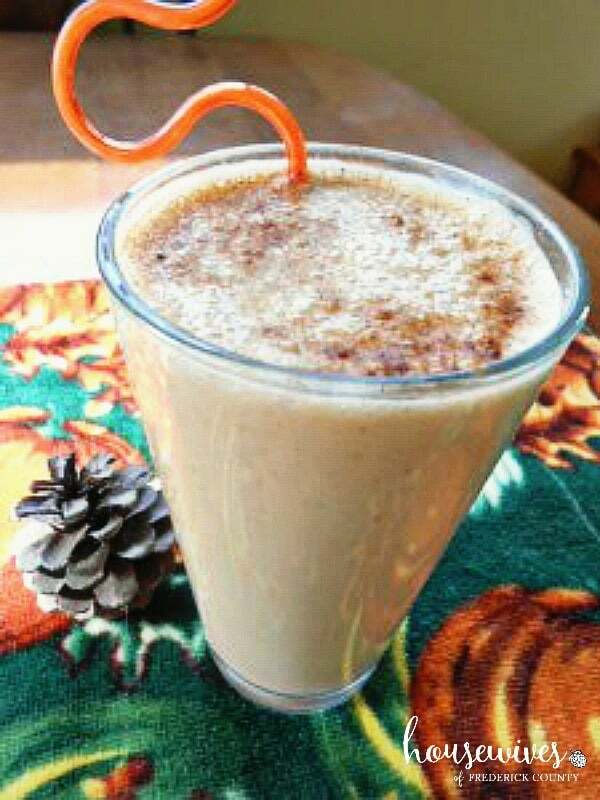 Now, to add to our pumpkin recipe list, I give you the Pumpkin Smoothie! 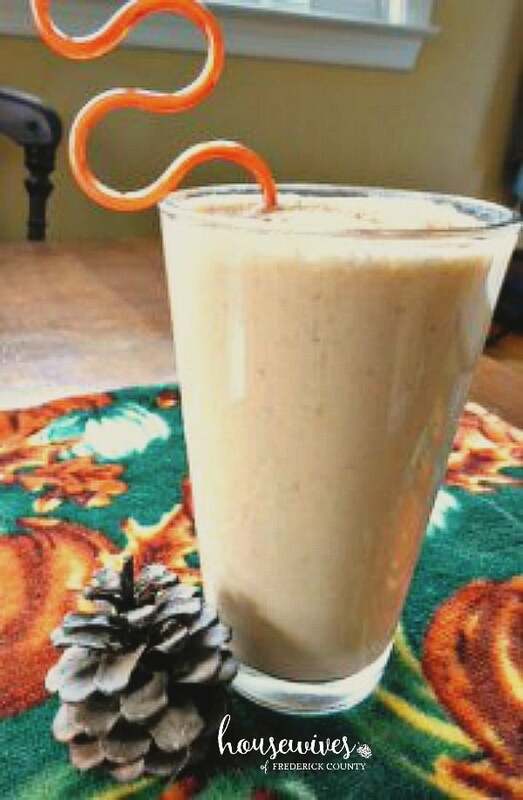 I found the recipe for this smoothie in an issue of All You Magazine. It did not specify that it was a Weight Watchers-friendly recipe. And with 8 points per serving, it really isn’t totally Weight Watchers friendly. 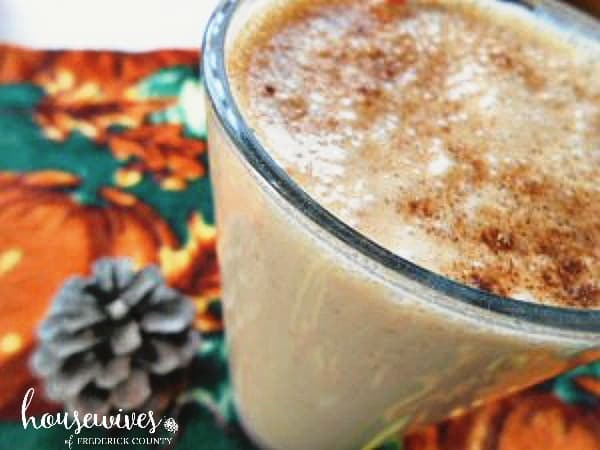 However, I do like to tally up Weight Watchers points on my recipes whenever I can, so that if you are following the Weight Watchers plan, and would like to save up some extra points for a nice little treat that won’t ‘break the bank’, this might be just the smoothie for you. 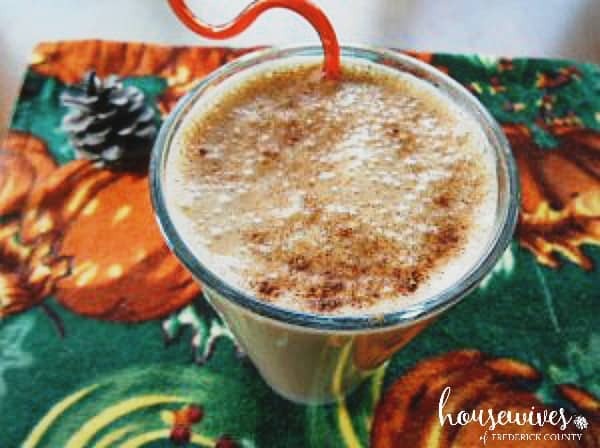 Pour into 2 glasses and sprinkle with additional pumpkin-pie spice, if desired. The recipe calls for whole milk, but I used 2% milk. It also calls for plain Greek yogurt that is NOT nonfat, but I used nonfat. 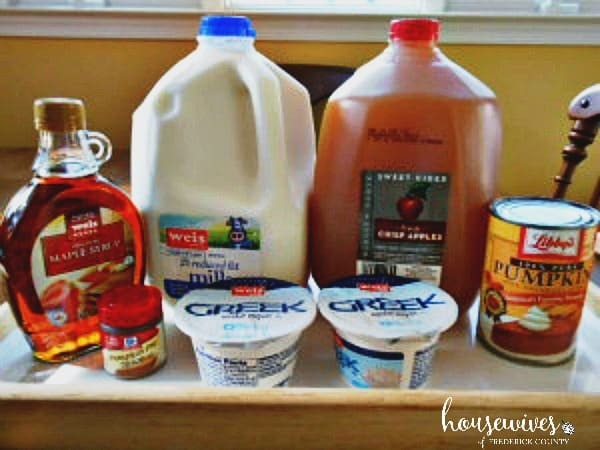 You could totally use whole milk and Greek yogurt that has some fat in it to make it creamier and thicker, but keep in mind you will need to recalculate the Weight Watchers points. The glass shown in my pictures used up 2/3 of what was in the blender. So I would say that one serving should equal around 1 1/2 cups of smoothie. 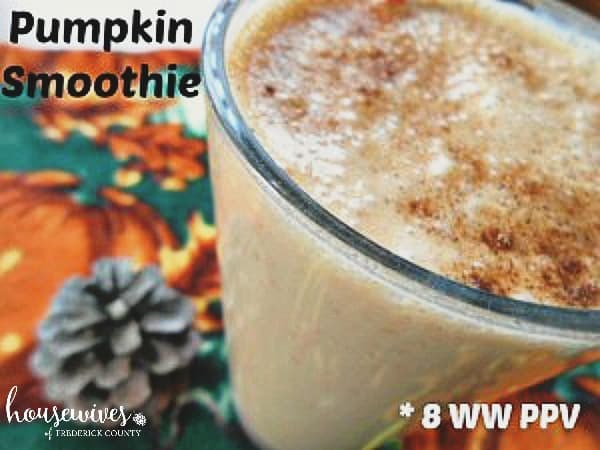 My changes, the next time I make this smoothie, will be to add 1/2 cup (instead of 1/3 cup) of pumpkin, use whole milk, and use the fat version of the plain Greek yogurt. 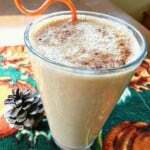 I might also use a little less of the apple cider so that it is a thicker, creamier smoothie. Just the way I like it!